I have a Trenscend 64GB Premium 400x memory card for the MP. Records and plays back just fine on Go4 and on the computer. Will also work when you try to view on the goggles when connecting to the MP under the "Aircraft Storage" . However, if you put the card in the goggles and select "Local Storage" you get "File List Empty". Both still images and videos (1080p 30fps) have been recorded. Card has been formatted from within the Go4 app. All firmware (MP, RC, and Goggles) are on the latest rev. Regrettably, I tried this on 32GB Sandisk and Transcend cards as well and they won't play video from the MP either when in Local Storage mode. Same problem with a 64gb Scandisk Pro card. It says "file list empty" in all playback modes. Additionally, you can not perform a download from the MP to goggles. I suspect defective card reader/writer in the goggles. I've contacted DJI support. I was about to post almost the same question. I've put two 64GB cards in the googles and they will not recognize either memory card to format. Are the googles defective ? What's the issue/solution? Does any recording on the mavic duplicate itself on the SD card in the googles so it's stored there as well as on the mavic and phone? Can you view video on the googles without transferring the mavic memory card to the googles? Mine works on 32gb and will not work on 64gb sd card. DJI has deemed the goggles card reader to be defective. So let me get this straight, because the only way my goggles work is if I turn on mavic then goggles and view what's on the mavic card. When I take the card out of the mavic and put it into the goggles it says empty. But, someone said something about if the mavic records is a higher or something format the goggles won't data on card. Here's the final answer. After dancing with DJI tech support (not a great experience), they deemed the card reader broken. I didn't buy it. There is conflicting information on the forums about the ability to use different size and brand memory cards and what format they should use. Here's what works after many attempts at getting this right. 1. I have successfully used memory cards from Sandisk, Transcend, and Samsung. 3. You MUST format the cards in Fat 32. For you Mac users, it will be shown as MS DOS (Fat 32). If you record your video in 1080P it will play on the goggles from the card. 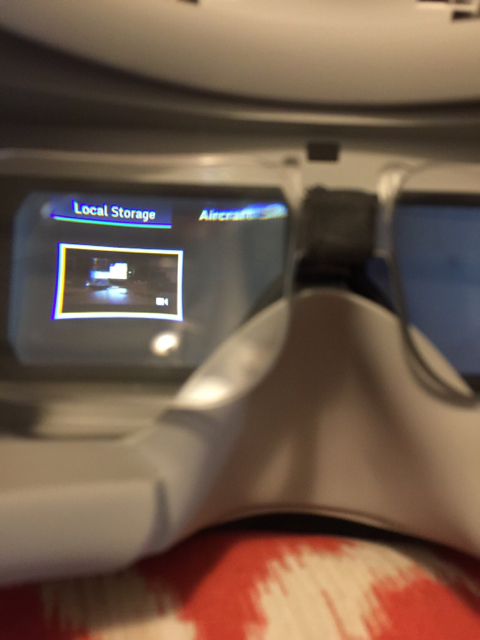 It will also play on the goggles if you choose "Aircraft Storage". 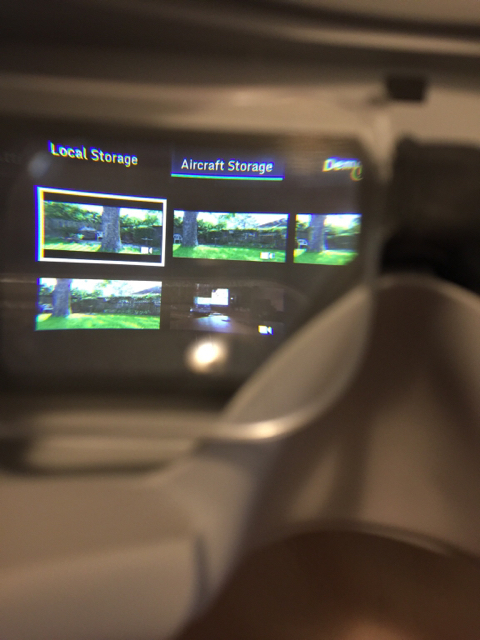 Finally, so long as the memory card in the goggles AND the card on the Mavic are both formatted as in the above steps, you can TRANSFER the images that you wish from the Mavic to the goggles when in "Aircraft Storage" mode by swiping down on the selected video/still image and clicking on the download arrow. This has been a PITA discovery mission, but now works perfectly. Thanks to all that offered suggestions. As a final note, the Mavic works just fine on cards formatted in EXFAT. It's the GOGGLES that must be in Fat 32. To keep things consistent, I'd recommend formatting all cards used with the goggles and the MP in Fat 32 to avoid conflicts. One would think that DJI would have known this!!! Dji need to quickly improve their customer service before they become a victim of their own success. I have the same problem with 64gb sandisk microsd. Disagree, it appears only 32gb readable. Tried all formats on 64gb card and they won't read them. Final answer, yes for you, but not for us ! the problem is the goggles doesn't read sd card's exFAT format, and any sd card above 32gb is exFAT so this is what I did as I had exactly same problem, I downloaded freeware ver of "Easeus Partion Master" and converted the format of 64gb sd card from exFAT to FAT32 and set it as "PRIMARY"(this is very important", now everything working fine. You have to change the format from exFAT to FAT32, the problem is the goggles doesn't read sd card's exFAT format, so I downloaded freeware ver. of "Easeus Partition Master" and converted the format of sd card from exFAT to FAT32 and set it as "PRIMARY"(this is very important", now everything working fine. I too had the same problem and after a lot of different tries including contacting DJI, finally I managed to sort it out; the problem is the goggles doesn't read sd card's exFAT format, so I downloaded freeware ver of "Easeus Partition Master" and converted the format of sd card from exFAT to FAT32 and set it as "PRIMARY"(this is very important", now everything working fine. Please let me know if you have any questions.